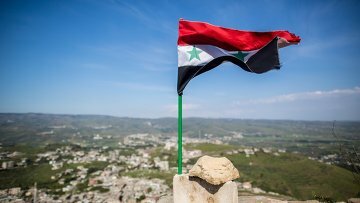 Russian court sentences terrorist to 16 years for fighting in Syria | Russian Legal Information Agency (RAPSI). MOSCOW, October 15 (RAPSI) – The North Caucasus District Military Court on Monday sentenced terrorist Islam Gugov to 16 years in prison for participation in terrorist activities in Syria, the court’s spokesperson Alena Katkalo told RAPSI. The court found that in October 2014, Gugov completed training in a terrorist camp in Syria and then voluntarily joined Imarat Kavkaz armed group banned in Russia. In early 2015, he underwent training in a terrorist camp in Aleppo, the largest Syrian city, for more effective participation in the terrorist group’s activity. In March 2016, the defendant returned to Russia and was arrested by police.